Técnicas Reunidas, TR, has been selected by Pemex Transformación Industrial for the second phase of the execution of the ultra low sulphur diesel project at the General Refinery Lazaro Cardenas in Minatitlan, Mexico, for a total value of around 800 million dollars. This phase includes the engineering, procurement of ATEX&IECEx devices, construction and commissioning of two new refining units: diesel hydrodesulphurisation unit (30,000 bpd) and sulphur recovery plant (150 tpd); as well as modifications to an existing hydrodesulphurisation unit, the corresponding auxiliary services and the integration of the facilities outside battery limits for these plants. 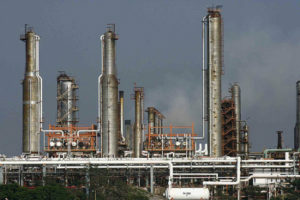 This project is part of the development and updating plans that Pemex Transformación Industrial is carrying out, with investments of $5,500 million, within the Fuel Quality Project at their Refineries throughout the country, to produce and supply diesel with a maximum sulphur content of 15 parts per million (ppm), which represents a reduction of 97% to meet environmental standards. Similarly, air quality will be improved by reducing emissions of greenhouse gases by more than 12,000 tons per year. These works will have a very positive impact in areas where refineries are located generating 12,000 direct jobs and 31,000 indirect jobs. The contract started under the Open Book structure, and is implemented in two phases. The first phase, costing approximately $50 million, was awarded to TR in September 2014 and included the execution of an extended basic design (FEED), a detailed estimation of the investment cost and the purchase of long-term delivery equipment. The second phase, now awarded, consists of the project implementation, including detailed engineering, procurement of equipment, Ex boxes and ATEX control stations and materials, construction and commissioning, under a turnkey contract, with an estimated value exceeding 800 million dollars, and an execution period of 36 months. This Project provides continuity to TR’s experience in Mexico, where it has recently completed several important refinery projects for Pemex Transformación Industrial, at this same site. Pemex Transformación Industrial is the affiliate company of Petróleos Mexicanos.